From the organizers Saab Car Museum, the Swedish Saab Club, Saab Turbo Club of Sweden and Club Sonett Sweden, we would like to give some more information about the programme for the festival in Trollhättan/Götene June 9-11. Saab 9-5 – 20 years during the weekend. This is the programme for the Saab Car Museum festival 2017 – Download on your smartphone and you know everything about the weekend, June 9-11. At the reception at the Saab Car Museum well will sell festivalpasses that gives access to the museum and the special activities there during the festival. A festivalpass bought on Friday costs 300 SEK and is valid Friday-Sunday. A festivalpass bought on Saturday will cost 200 SEK and is valid Saturday-Sunday. A festivalpass bought on Sunday will cost 100 SEK and is valid on Sunday. Support the Saab Car Museum, buy the festivalpass! Svenskbilsrallyt ( Swedish Car Rally) June 6, start from the Volvo Museum in Gothenburg and finish at the Saab Car Museum in Trollhättan. 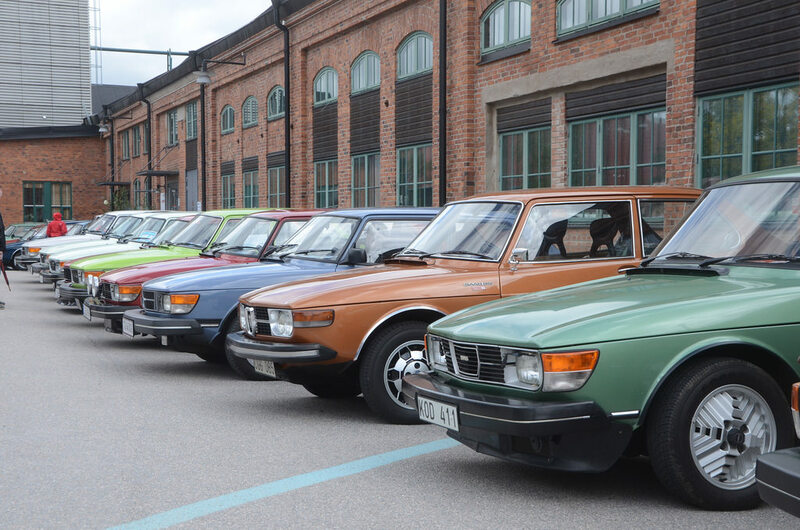 Organized by the Swedish Volvo Club and the Swedish Saab Club. All Swedish cars are welcome! Check the website for more information: http://www.svenskavolvoklubben.se/kommande-volvotraffar/ . You need to pre register and prepay the starting fee of 200 SEK/person. Included in the fee is coffee & a sandwich at the start and lunch at the finish. And of course entrance to both museums! Bring your Saab and enjoy the local classics in combination with a traditional Swedish shrimpsandwich. All seminars will be in English. In the evening, relaxed atmosphere and ”tire kickin” around the museum. Pubevening at the NOVA restaurant alongside the museum with classic dishes like ”Sausage the Erik Carlsson way” and more…..open to 22.00. Saab parts flea market in the area around the museum, the biggest Saab market ever? Entry for sellers 08.00, start flea market 10.00. Around 18.00 the Saab Car Museum Festival 2017 shifts to neutral…….